Sorry, OPEC. The U.S. oil boom isn't dead yet. The U.S. pumped an average of 9.43 million barrels per day last year, according to new government figures. That's the highest level since 1972 and represents an impressive growth of 89% since 2008. The crash in oil prices has caused production to slow a little in recent months. But shale oil producers have held up far better than many feared. "The U.S. oil industry has demonstrated remarkable resilience," said Jason Bordoff, a professor at Columbia University and a former energy adviser to President Obama. The shale oil revolution has given consumers a big boost in the form of cheap gasoline prices, which are now below $2 a gallon nationally. It's also made America one of the planet's biggest oil players behind Saudi Arabia and Russia. It's also fueled the epic oil supply glut. OPEC, led by the Saudis, decided to fight back in November 2014 by deciding to pump oil aggressively -- despite the oversupply issue. The thinking was that strong OPEC output would cause prices to drop to uncomfortably low levels which U.S. shale producers would struggle to cope with. Prices did drop, even more than OPEC members were prepared for. Oil touched $26 a barrel last month, down 75% from its mid-2014 peak. However, OPEC's strategy has failed to kill off the U.S. oil boom. At least so far. Despite the drop in prices, domestic production rose 8% last year and is now up 45% since 2012. Strong U.S. output has been fueled by a wave of innovation that has improved companies' productivity and efficiency. The oil companies have also benefited from lower service costs due to the downturn. "Shale production has been more resilient than anyone thought it could be," said Brian Youngberg, senior energy analyst at Edward Jones. "Companies are investing in their core assets where they can get the biggest bang for their buck." It's not like U.S. oil companies aren't feeling the OPEC pressure. They've been forced to aggressively slash costs and cut thousands of jobs. Smaller oil companies saddled with debt taken on during the boom years have gone under. 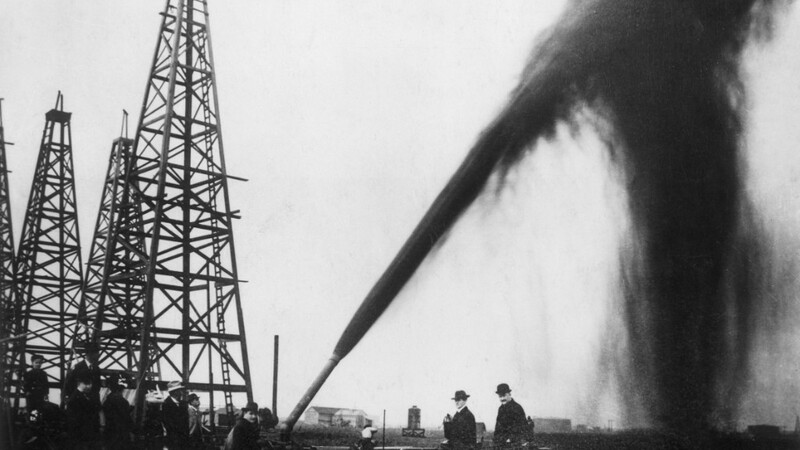 U.S. bankruptcies of oil and natural gas companies spiked 379% in 2015. This financial pressure, combined with cheap prices, has caused U.S. production to slow a bit since it topped out in April 2015. Investors are combing through the latest output numbers for signs of a more meaningful drop that could balance the global supply imbalance. The U.S. pumped 9.26 million barrels in December, down 2% from the year before and off 4.5% from the April peak. "While production rose year-on-year, it is now falling fast," said Bordoff. Many oil companies continue to slash spending plans and are now forecasting flat to negative production in 2016. Tom Kloza, global head of energy analysis at the Oil Price Information Service, predicted that reduced output from the Lower 48 states will cause U.S. output to drop to around 9 million barrels per day in 2016. Youngberg thinks production could slip even further, possibly to about 8.5 million barrels per day. "Hopefully that's near the bottom until prices improve," he said.